A highly experienced executive with a proven track record of building, enhancing and managing global operations for major organizations around the world, Jim joined the Maine Pointe team in late 2015. In recent years, he has worked in private equity owned companies and later built an independent consulting business working in a variety of companies around the globe. He has a strong passion for driving breakthrough results through people and teams, with a focus on developing the right organization for sustained, long-term improvement. Jim’s ‘hands-on’ approach and commitment to staying with clients until results are achieved has resulted in numerous successes in a career that encompasses plant manager roles in the US and Europe and overseeing operations of twelve global manufacturing plants in the US, Europe and Asia. His achievements include upgrading leadership and operations to modern standards at a specialty chemical company culminating in a successful private equity sale of the business. 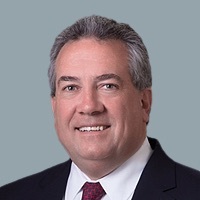 Jim also has significant M&A experience, having successfully integrated three large acquisitions: Rohm and Haas, Shell Oil MWF and Gulf Oil International. He has an impressive history of installing global metrics across multiple manufacturing facilities, and driving step-change improvements in capacity and cost reduction.